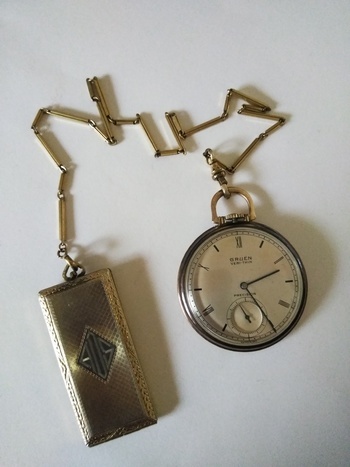 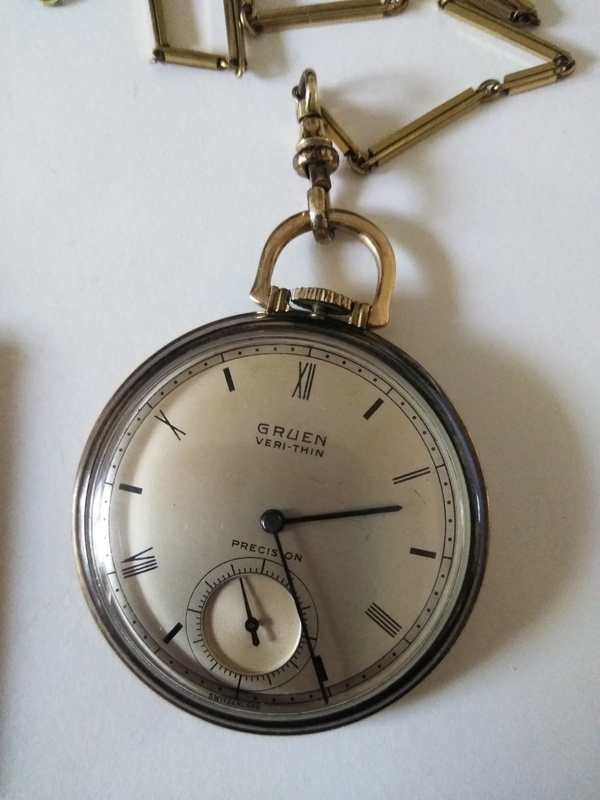 This is a friendly verithin pocket watch with fob (fob) the fob is hold in color, the only mark is FNCO. Not sure what it means, or if it is gold it is very light in weight. The pocket watch is 10k filled. Number g336056, manufacturer by Wadsworth (1942-1943?) 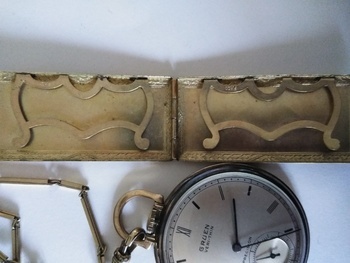 Serial number 4-1249810. 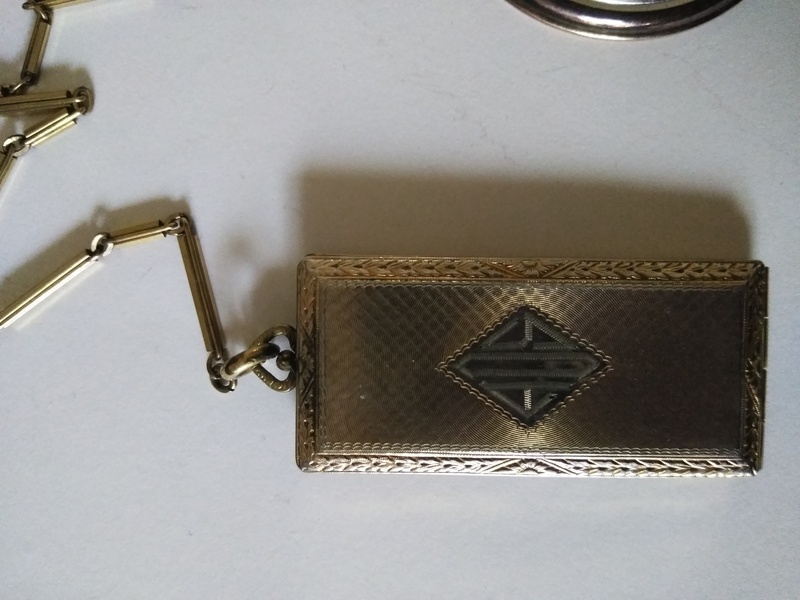 I am sure someone can give me a little idea about the chain.